International Due Diligence: Can I Get a Certificate of Good Standing or UCC Search in China? More and more companies are looking into expanding their businesses into People’s Republic of China (PRC), and with good reason. China’s growing population and rising standard of living are making it a huge market for goods and services. It is currently the largest market in the world for cell phones and cars and is the fastest growing market in many other areas. As businesses expand into China, financial transactions and acquisitions where a Chinese company is involved are becoming more common. With that comes a need to understand what is available on the public record to assist in due diligence in China. 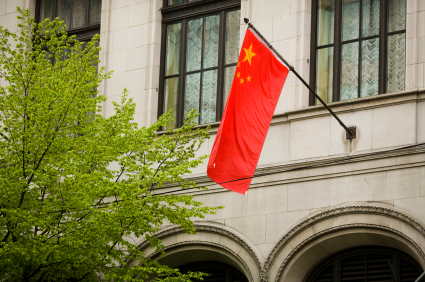 In this article, we’ll take a look at the Chinese equivalents of the two common types of public records obtained in the U.S.; the Certificate of Good Standing and the UCC search. There is no exact equivalent in China to the U.S. Certificate of Good Standing, a certificate issued by the Secretary of State or similar state filing office that attests to the company’s registration and continued existence. But it is possible in China to obtain a “Corporate History” from the local State Administration of Industry and Commerce (SAIC). The corporate history includes the company’s registration number, the company type, the entity name, the legal representative and principal(s) of the company, the date of establishment, its registered capital, status, address, business scope and the year and result of its annual inspection. The corporate history can be obtained online from many local State Administration offices by an experienced searcher. If a manual search is required, many State Administration offices require that a Chinese attorney conduct the search. You will need to know both the Chinese name of the company and the location of registration. China does not have a secured transactions law similar to Article 9 of the Uniform Commercial Code in the U.S., but rather various registrations can be made depending on the type of property involved. For debt where tangible personal property is used as collateral, registration with the appropriate government agency is required for perfection. This registration is often made at the SAIC based on the location of the property, however, depending on the nature of the asset, it may be required to be registered at another agency instead. So, to run a search, you need to know the property you are searching for and its location. In many cases, you cannot run a search without knowing the registration number, eliminating the usefulness of this search for due diligence purposes. A pledge is used to secure an interest in a claim or receivable. Pledges are registered with the Credit Reference Center of the PRC. Pledges over financial instruments, depending on the entity type and instrument type, can be registered with the SAIC, the CDCC (China Securities Depository and Clearing Company Limited) or the China Government Securities Depository Trust & Clearing Co., Ltd. Negotiable instruments are not registered. Attorneys in China have advised us that due to the inaccuracy of the records kept, the large number of agencies that must be searched and the fact that record keeping is local, it is pretty much impossible to obtain a clear picture regarding a company’s indebtedness by looking at the public record. A common alternative for a preliminary picture of the company’s financial health is to obtain a credit report. As the Chinese and American economies become more intertwined, it is reasonable to assume that transactions involving Chinese assets or companies will continue to become more common. Understanding the limitations of what can be found on the public record in China is an important prerequisite when handling due diligence in transactions and acquisitions involving companies located in the People’s Republic of China.